The Auditor-General has descended heavily on some three doctors said to have received salaries as at 2013 for no work done. The three, who previously worked for some public health institutions had moved on, but still had their names on government payroll and had received unearned salaries totaling GH¢109,705.83. According to the report, the third person, Dr. Jacob Yangyouru later refunded GH¢51,618.03 of the indebtedness to EOCO’s account at the Bank of Ghana, leaving a difference of GH¢59,204.58. 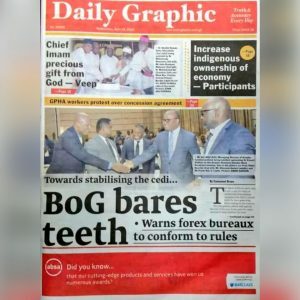 The report dubbed “Special audit report of the Auditor-General on disallowance and surcharge as at 30 November 2018”, also revealed that the Administrator and Head of Finance at the Bechem Government Hospital have also been jointly surcharged and are to pay a total of GH¢59,204.58 to the State for failing to stop the continuous payment of Dr. Jacob Yangyouru who had long left the hospital. 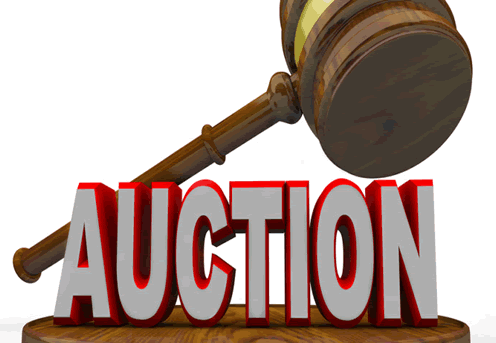 Still in the health sector, the special audit report also indicted an auctioneer, Mr. Felix Aduajoe of Shelter Mart, Adentan, Accra, for pocketing more than half of proceeds realized from the sale of properties belonging to the Ministry of Health. 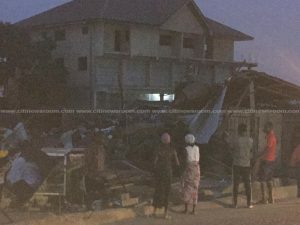 According to the report, Mr. Aduajoe paid only GHc19, 625 to the Consolidated Fund despite selling the properties at GH¢44,125. The report however failed to state exactly when the properties were auctioned, but it is believed it was done in the year 2014. Mr. Aduajoe has been surcharged according to the Auditor-Generals report and is to refund a little over GHc50, 000 back to the State. “In accordance with Article 187(7)(b) of the 1992 Constitution, the Auditor-General disallowed and surcharged Mr. Aduajoe an amount of GH¢24,500.00 and GH¢25,535.86 respectively bringing the total amount of GH¢50,035.86 to be refunded into the Consolidated Fund,” the Auditor-General stated in the special audit report. Also, a former principal Accountant at the Registrar General’s Department is in hot waters for allegedly defrauding the State by over US$163,510.00. Mr. Tahiru Haruna, according to the Auditor-General’s report, transferred the amount from the Registrar General’s account into his private account in 2014 contrary to the country’s financial regulations. “Our audit of the accounts of the Registrar General’s Department for the period ended 31st December 2014, disclosed that Mr. Tahiru Haruna, Principal Accountant, transferred US$163,510.00 from the Departmental Account into his private account, thereby defrauding the state of $163,510.00 contrary to Regulation 2 of the Financial Administration Regulations, 2004 (L.I. 1802)” the Auditor-General’s department stated in a special audit report on disallowance and surcharge as at November 30, 2018. For his punishment Mr. Haruna per the report has been surcharged $30,877.50 for the amount allegedly embezzled. Ghana continues to lose millions of monies in financial irregularities and embezzlement perpetuated by officials employed in the various Ministries, Departments and Agencies. A study conducted by pressure group, Occupy Ghana on reports of the Auditor General revealed that the Ghana between 2003 and 2014, lost over GHc40 billion due to “irregularities” arising from Government Ministries, Departments and Agencies. 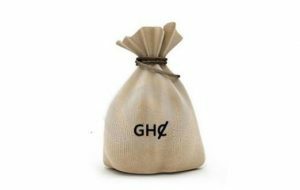 The post Three doctors surcharged for taking GHc109,705 unearned salaries appeared first on Citi Newsroom.